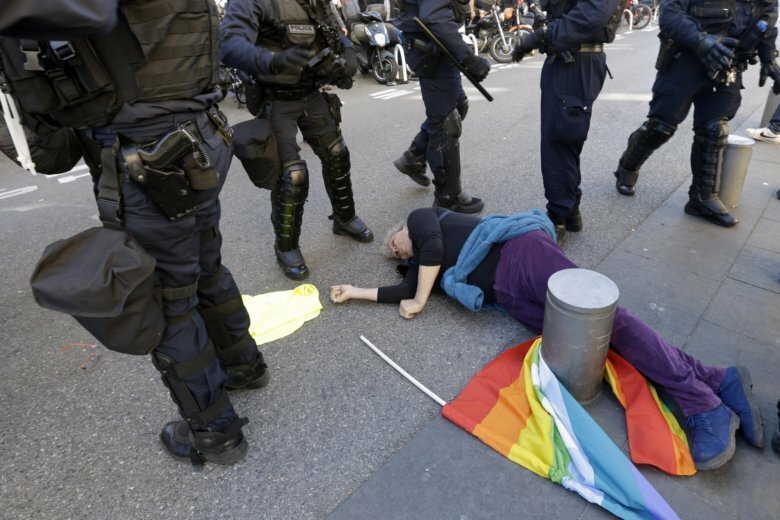 The woman was waving a rainbow flag marked “Peace” and holding a yellow vest when riot police carrying shields suddenly pushed toward the protesters Saturday. An Associated Press reporter saw her fall to the pavement, blood spilling from her head. The 4-month-old movement drew bigger crowds Saturday than in recent weeks, despite heavy security and even though last weekend’s violence dented overall support for the cause. The protesters want more help for struggling French workers and retirees and say President Emmanuel Macron favors the elite.